Ackerman attended Syracuse University, New York. 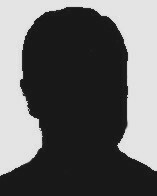 In the 1890s he was Sporting Editor on the Syracuse Standard and active in sports himself, achieving an 1895 YMCA record for indoor pole vaulting. 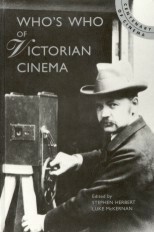 Fred Ackerman was one of the American Mutoscope and Biograph Company's main camera operators in the Victorian period. First recorded as working for them in June 1899, he is best known for his journey to China in 1900, the year of the Boxer rebellion. Filming mostly local scenes, but also some troops movements, as well as Chinese politician Li Hung Chang receiving his gift of a Mutoscope, Ackerman returned the same year and in 1901 toured the United States with journalist Thomas Millard, presenting a programme of films, lantern slides and commentary entitled War in China. Prior to China he had gone to the Philippines to film scenes from the offshoot to the Spanish-American war which first arose in Cuba, filming several scenes of military activity from November 1899 to March 1900, an assignment that parallels what W.K-L. Dickson was doing for British Biograph in South Africa at exactly the same time, but remains little known.